SAN FRANCISCO is a city of distinct neighborhoods, each with its own history and its own personality. SF is a small, navigable city, and visitors can explore each of its 49 square miles and their neighborhoods with ease. 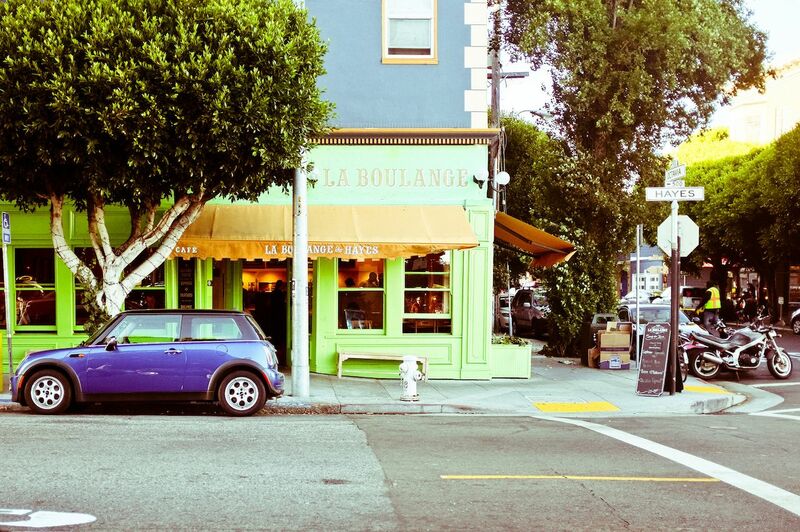 Here are 6 of the coolest San Francisco neighborhoods. The Mission has been many things: most recently the center of Latin culture in San Francisco as well as the face of gentrification. 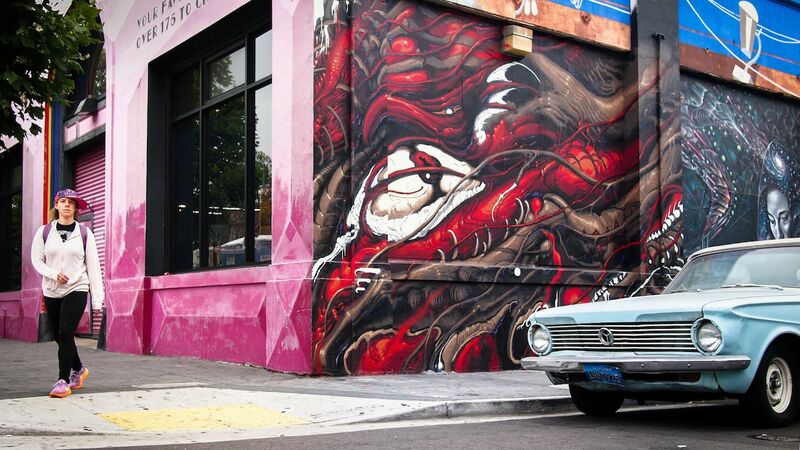 Murals decorate the walls between trendy shops, innovative restaurants, and Mexican markets. It’s a popular spot for culture, shopping, eating, partying, and more, all contained between the two BART stations (16th St. and 24th St.), which serve the neighborhood. Eat at Media Noche for a Cuban sandwich sensation, or try “the best burrito in the US” at La Taqueria . If it’s daytime, grab a beer at Zeitgeist, or head to ABV for cocktails in one of the most popular nightlife spots in the neighborhood. Shopping in the Mission is unbeatable, and the best way to go about it is to cruise down Valencia St. for boutique, vintage, upscale, and often funky shopping options. As San Francisco yet again became the place to live, young professionals scattered themselves throughout the city seeking lower rents. For lifelong locals, the Inner Richmond is no secret, but more recent transplants are discovering just how much this out-of-the-way neighborhood has to offer. 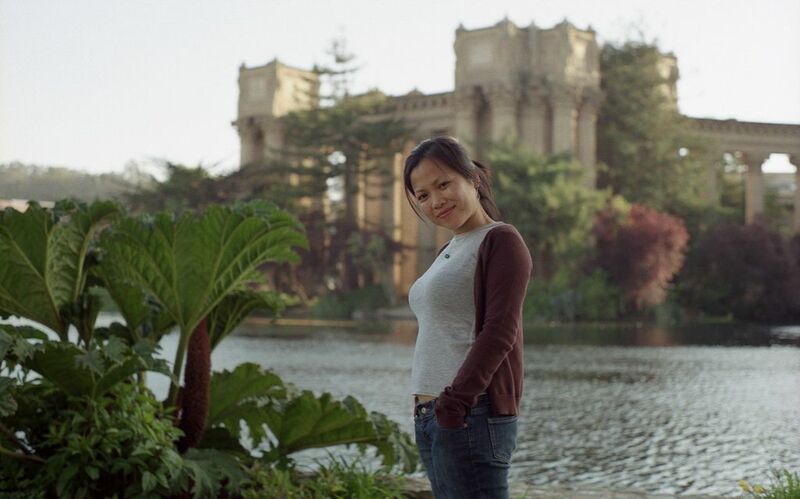 It’s been called the “Real Chinatown” of the city, and it borders both The Presidio and Golden Gate Park, making it a great place to explore everything the city has to offer. Check out Green Apple Books for authenticity, and frequent author events. There are tons of shops and restaurants along Clement St., including Burma Superstar which is not to be missed. Make reservations at Chapeau for a more formal dining experience, then head to The Bitter End for a drink. There isn’t as much nightlife in this part of the city, but what there is offers an experience similar to what locals enjoy. The Marina is known as a playground for wealthy, attractive, young post-fraternity / sorority members. Like all stereotypes, this one isn’t entirely true. During the day, The Marina is one of the friendliest places around, with stunning waterfront views and sunny shopping districts on Chestnut St. and Union St. (which is technically in Cow Hollow but close enough). During the day, head to Tacolicious where you’ll find a wide selection of tacos, and the tequila to go with them. Susie Cakes is a neighborhood favorite for desserts. At night get to drinking in the packed Tipsy Pig, after having dinner at the classic Italian restaurant, Ristorante Parma. Keep your eye on publicity from the Fort Mason Center, for a rotating selection of fairs and activities, from food to art to entertainment. 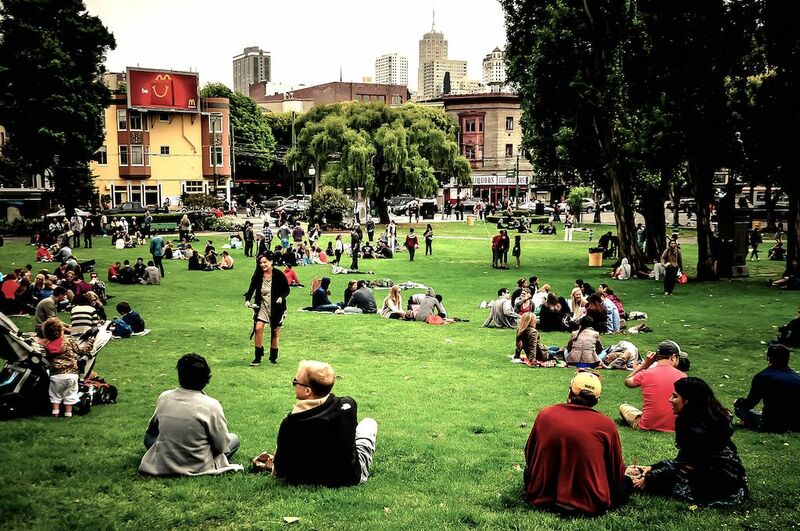 Hayes Valley has transformed from a place your parents wouldn’t let you go, into a place where your parents can’t afford to live. The small but neighborhood is full of brightly-lit boutiques, one-of-a-kind restaurants, and a handful of famous bars. There’s a park in the central area with rotating public art, making it a great place to sit and relax after shopping or enjoy the people-watching. You can’t go wrong with brunch or dinner at Straw, a carnival-themed restaurant that’s anything but chaotic. Smitten brews their ice cream using liquid nitrogen, so there no any ice crystals to be found. Unique, affordably-priced jewelry is found at Azil Boutique a little shop near a great deal of Hayes Valley’s most popular shopping. For a nightcap head to Smuggler’s Cove, a famous tiki-bar known for its extensive, eclectic rum menu and wacky interior design. San Francisco’s original party neighborhood, North Beach, retains much of its classic charm while still attracting young newcomers and curious tourists. “Little Italy,” as it’s also known, has great shopping on Grant Ave. and drinking anywhere can’t be overlooked. The park at Washington Square is perfect for relaxing, meeting up with friends, or simply to watch the free-spirited locals who call this neighborhood home. There are a lot of restaurants from which to choose, but many folks go nuts for Tony’s Pizza Napoletana when they’re sober — or Golden Boy Pizza, when they’re drunk. There are a ton of places to drink, but I’m particularly fond of Maggie McGarry’s, which has a secret stage where killer local bands play. Anything on Grant Ave. is bound to capture the imagination, but Schein & Schein is a map store with fascinating products for everyone who walks in. 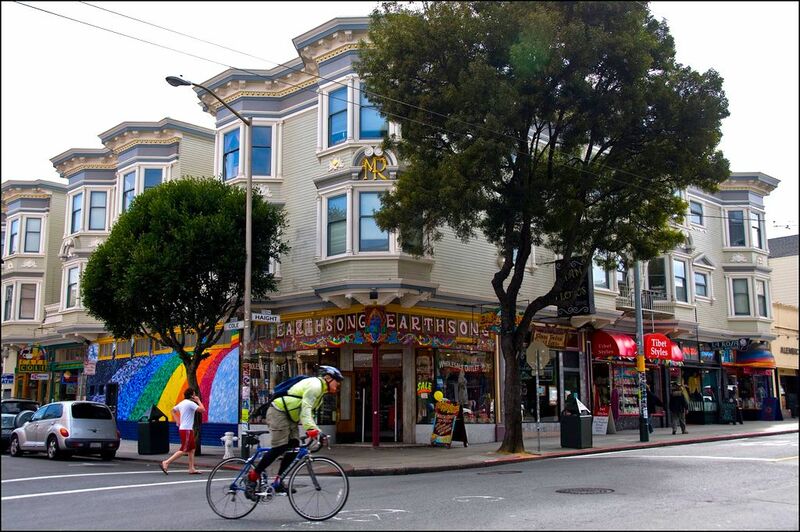 Many people know about Haight-Ashbury, but local San Franciscans flock to the Lower Haight for their fun. This neighborhood is topographically lower than its more famous counterpart and extends as far east as Divisadero St., a former dividing line of the city. 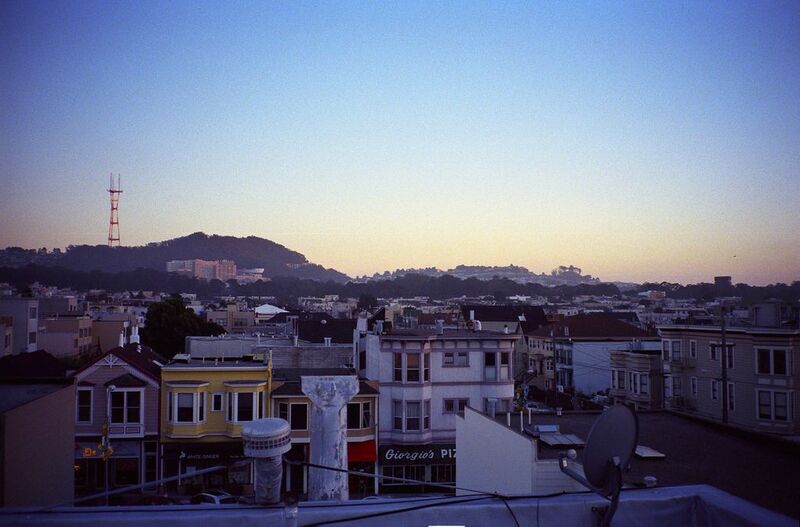 The vibe ranges from trendy to grungy — San Francisco in a nutshell. Shopping is variable, but reliable, with Rare Device a favorite for gifts and unique cards. Across the street is 4505, one of the best places for BBQ in the city. Haight St. proper has terrific bars, from Mad Dog in the Fog with their famous Tuesday night Trivia, to Toronado (547 Haight St.; Daily 11:30 AM – 2 AM), a beer lover’s — and down-to-earth — person’s paradise.